In this course you will learn the basics of kitesurfing or kiteboarding as you practice for a few hours gaining confidence and skill; learn to stand on the board, handle the kite in and out of the sea, recognize the winds use body drag and be able to rescue the board. Additionally. Have you ever dreamed of flying? Well, now you can! Do not give up this opportunity that you have always dreamed since childhood! 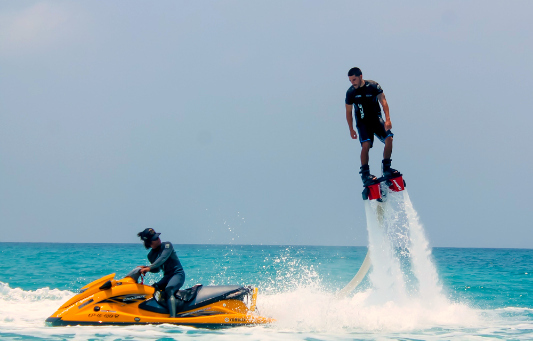 Cartagena Fly board Team is here to help you turn your dreams into reality. With our certified instructors in learning Fly board, we guarantee that you will be flying within 5 minutes after the Fly board mounted! Fly board beauty is that it is so easy to learn.